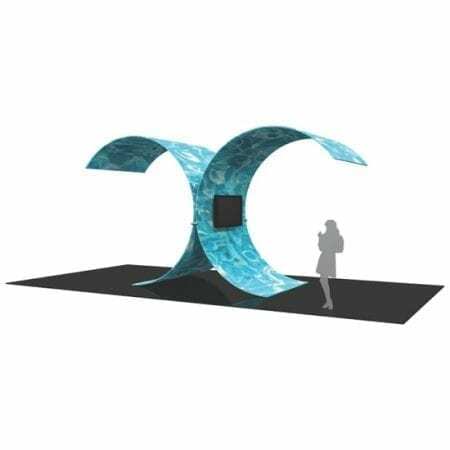 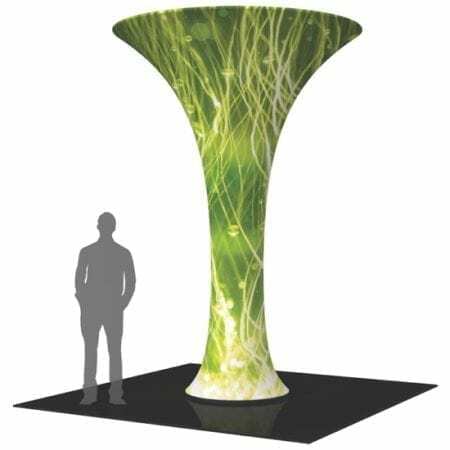 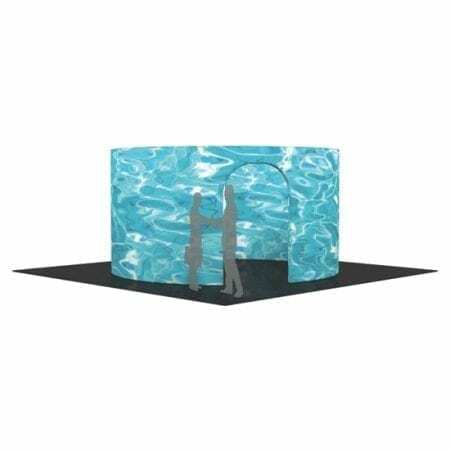 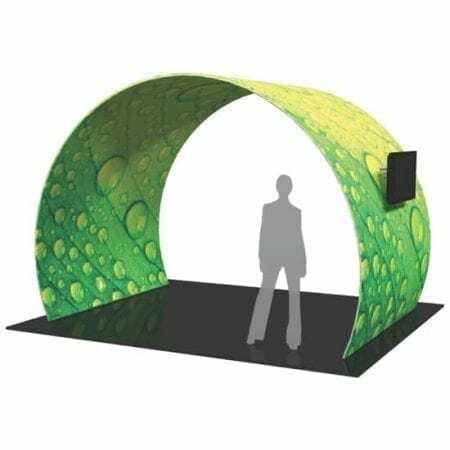 3D Exhibit Shapes: Towers, Arches and Walls can draw attention and captivate your audience at a trade show, event or a more permanent setting by creating a unique aesthetic in any booth or interior space with tension fabric structures. 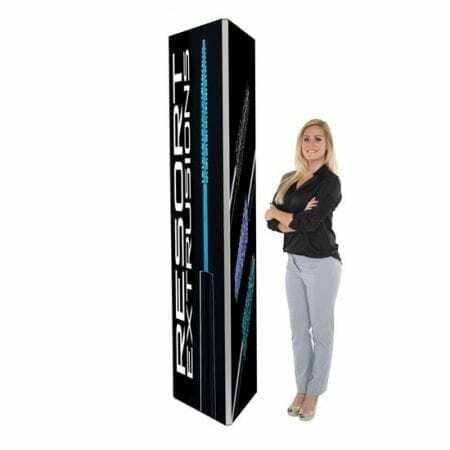 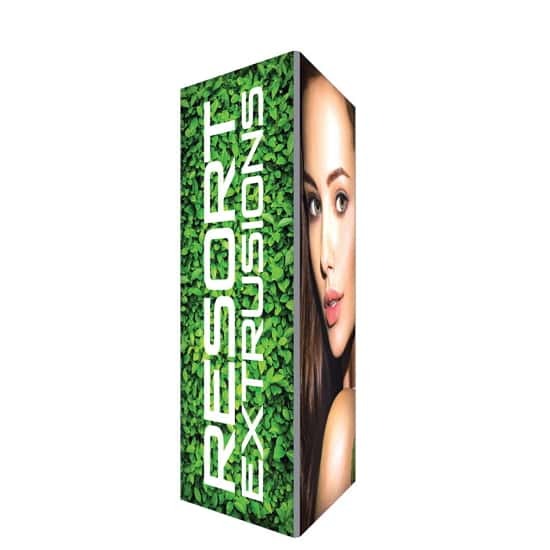 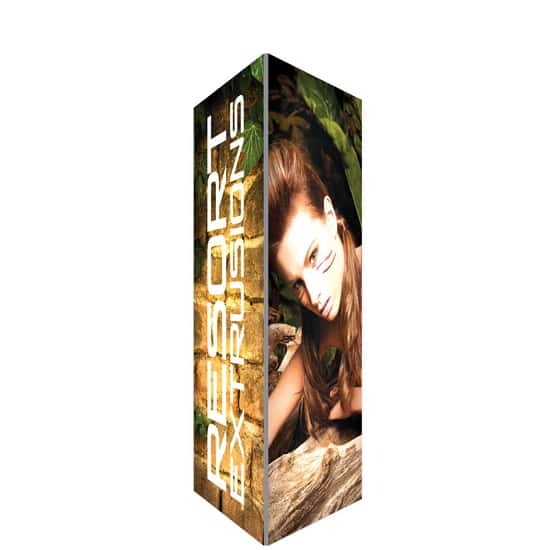 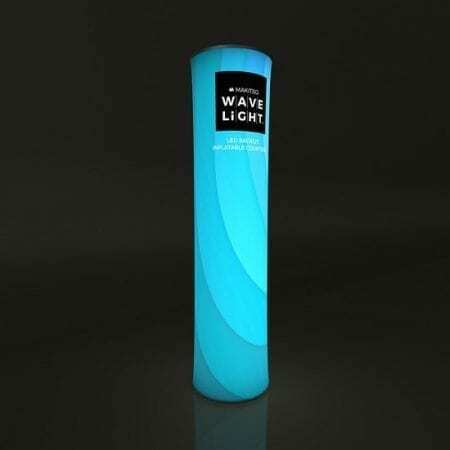 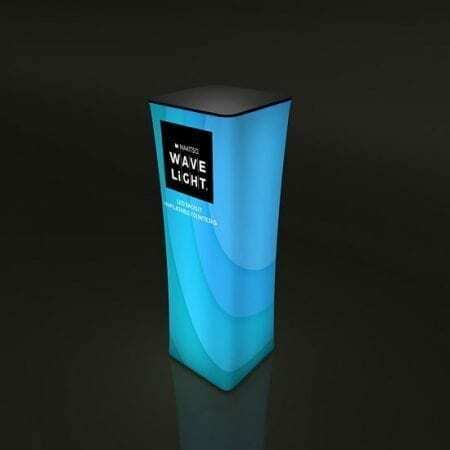 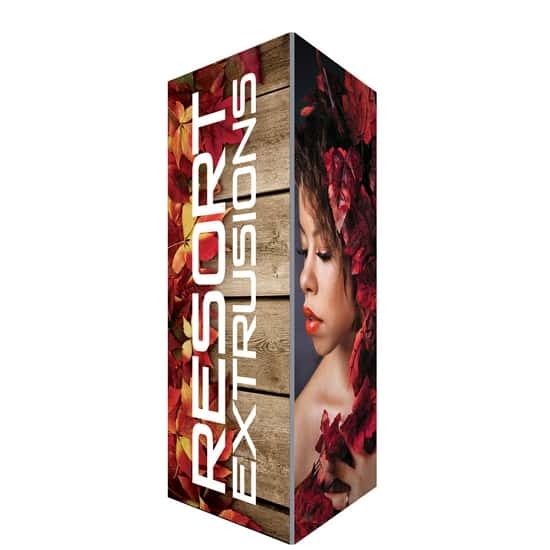 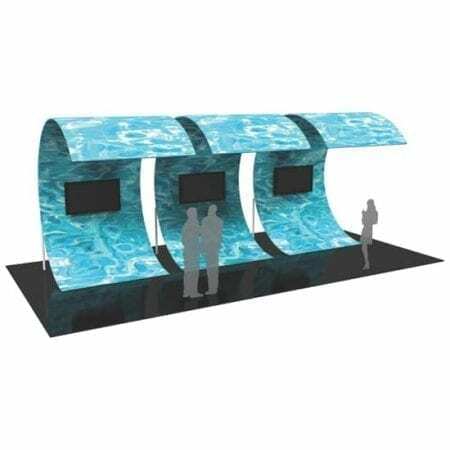 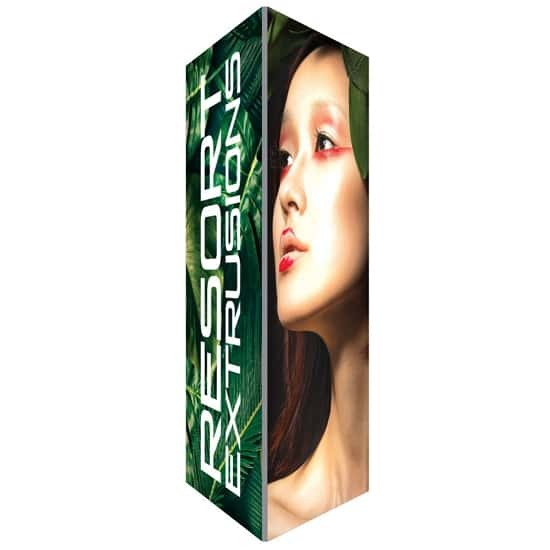 These portable displays combine organic and architectural shapes with lightweight, sturdy aluminum tubes and state-of-the-art dye sublimation stretch fabric to create dynamic and functional event layouts. 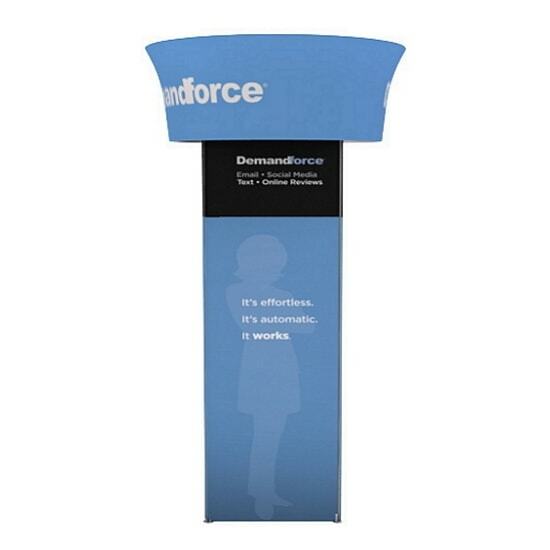 Mix and match with our other tension fabric displays and back walls to create a truly customized look for your next conference or trade show. 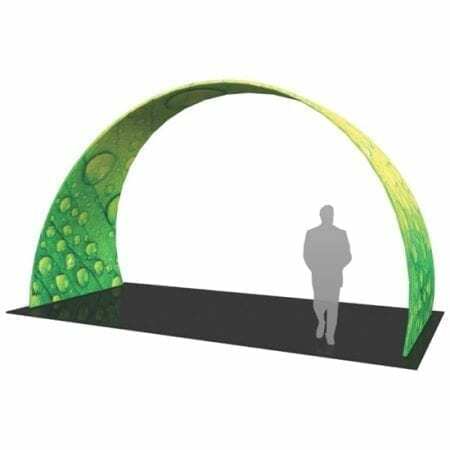 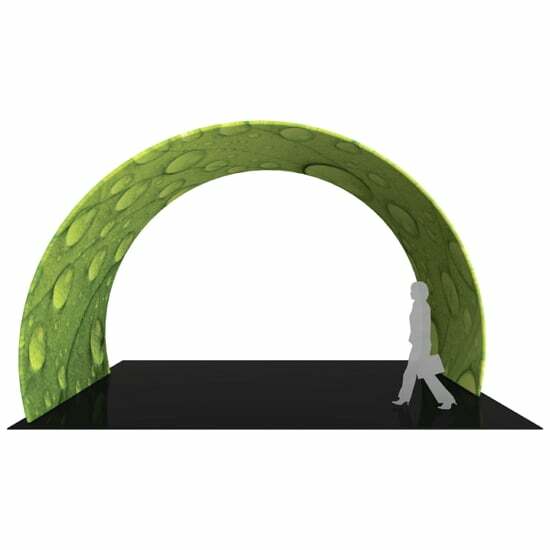 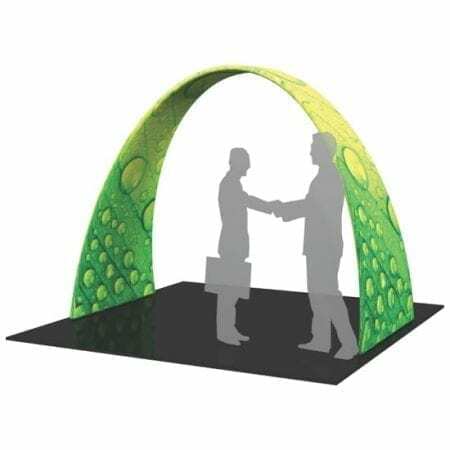 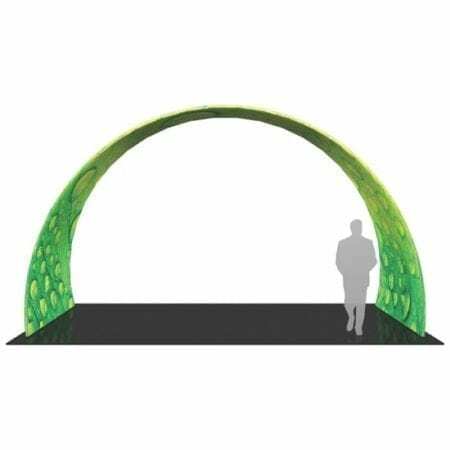 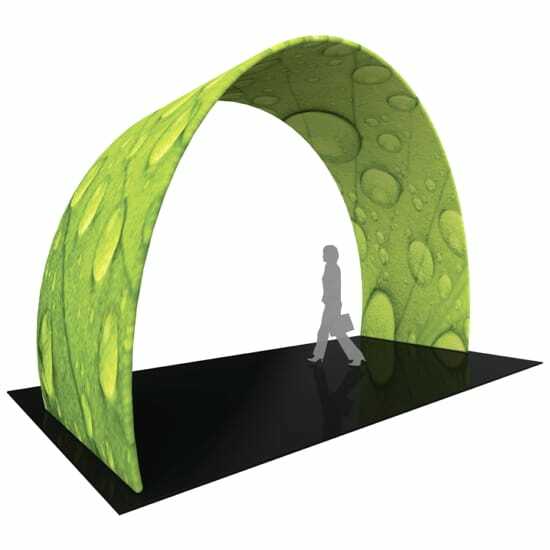 Easily create and define a stunning entryway, focal point or stage set at your next trade show or event with Exhibit Shapes: Arches & Walls. 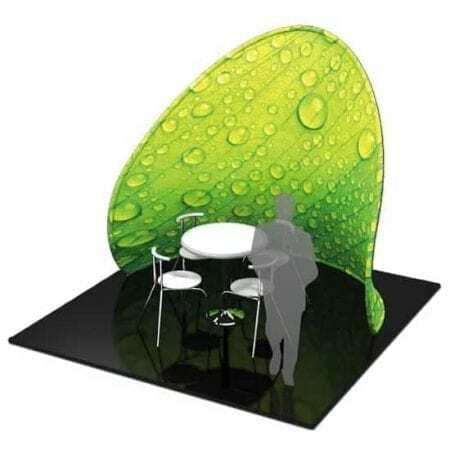 The latest developments in fabric printed technology combine with gently curved frames to create cozy and stylish conference areas in any space. 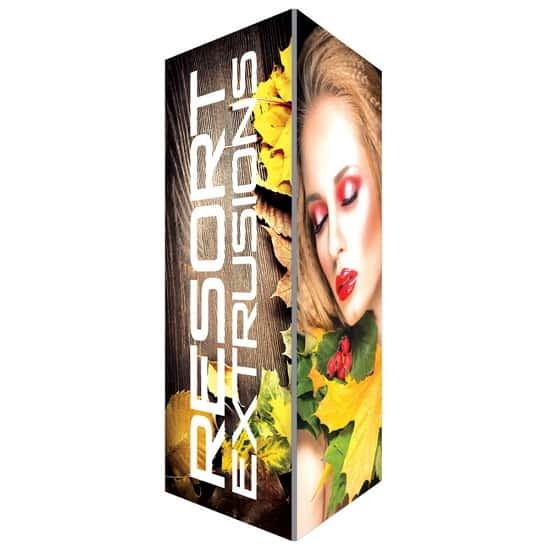 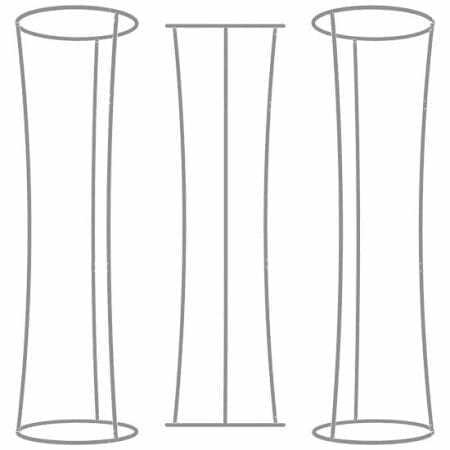 These super structures combine pillowcase-style stretch fabric graphics with curved 50mm aluminum tube frames. 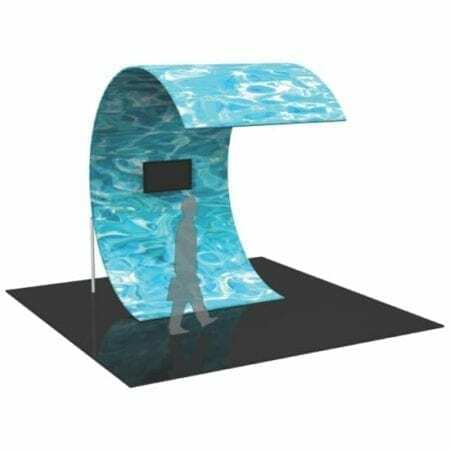 Made in the USA; custom sizes also available. 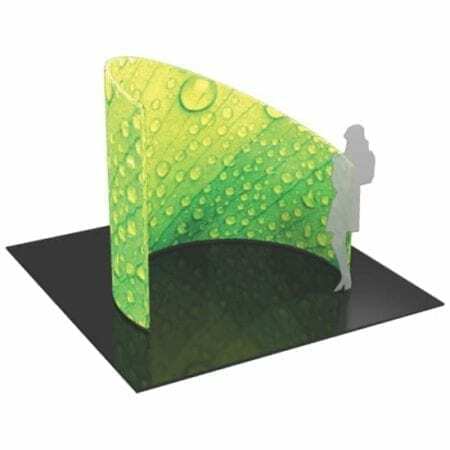 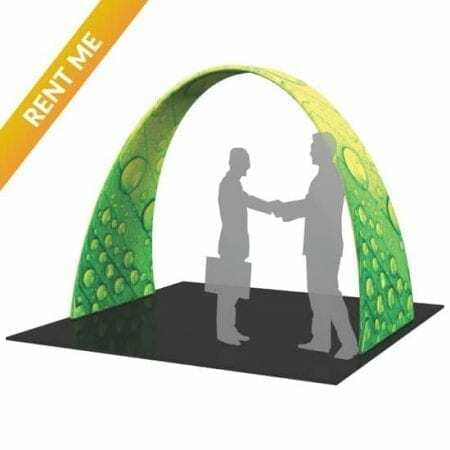 Some of 3D Exhibit Shapes are also available for rental: consider renting one of our arches, towers or dividers to create delimited branded spaces at an event or exhibit! 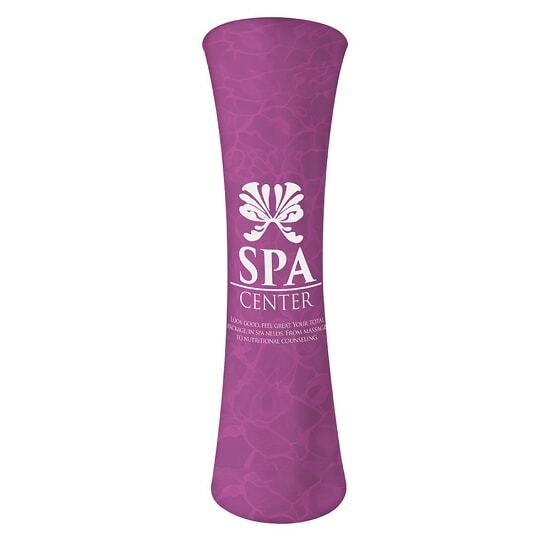 Available in your choice of full color print, solid color fabric (23 color options!) 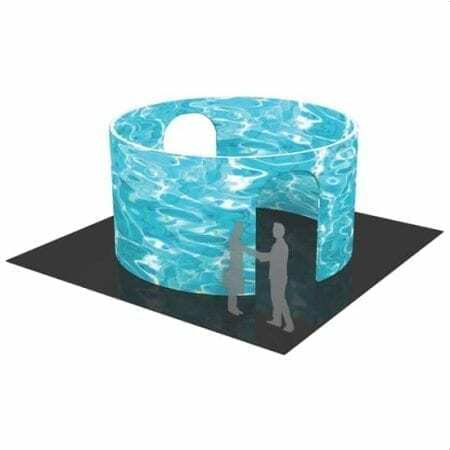 or black or white fabric. 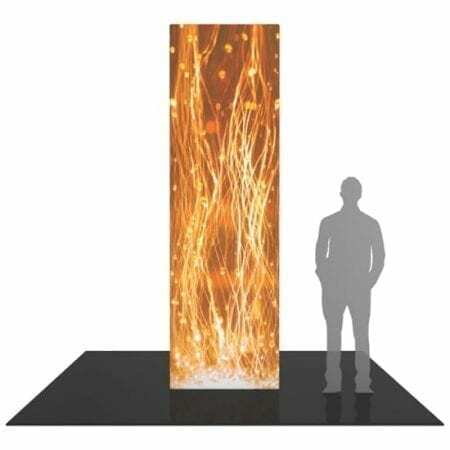 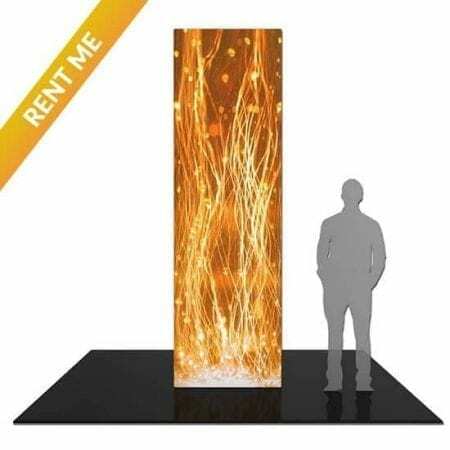 For more information and pricing, see our Tower Displays Rental page. 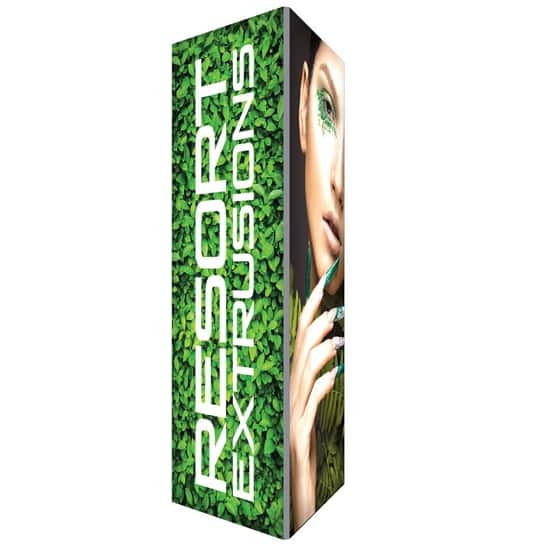 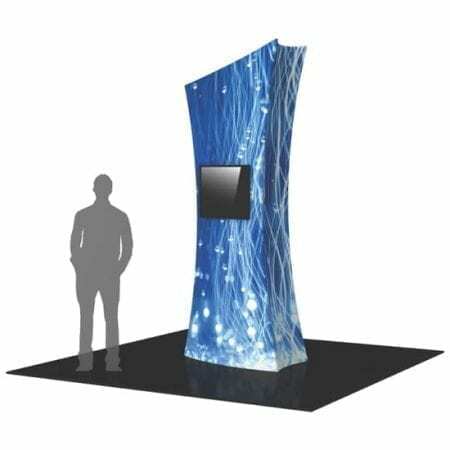 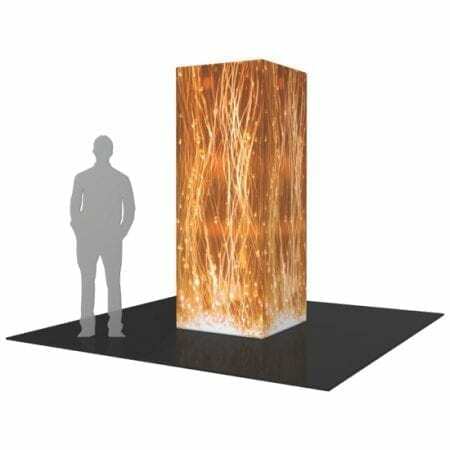 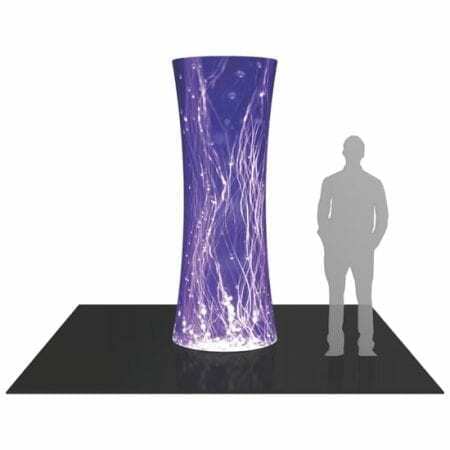 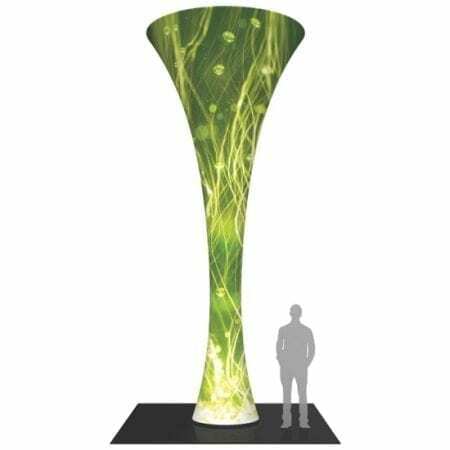 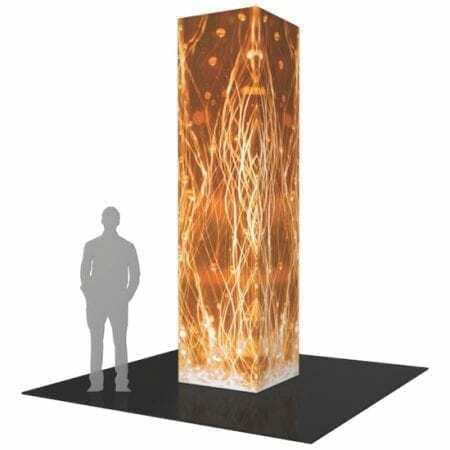 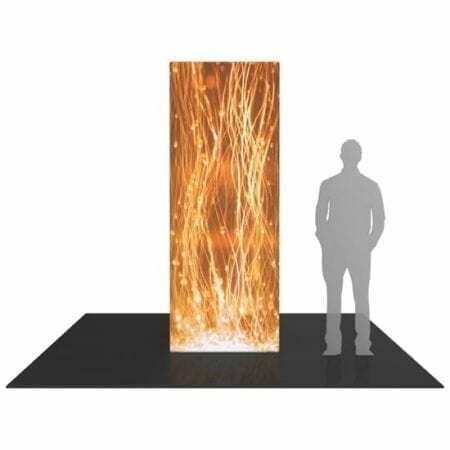 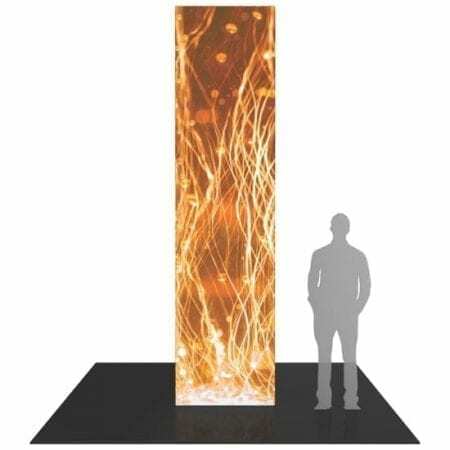 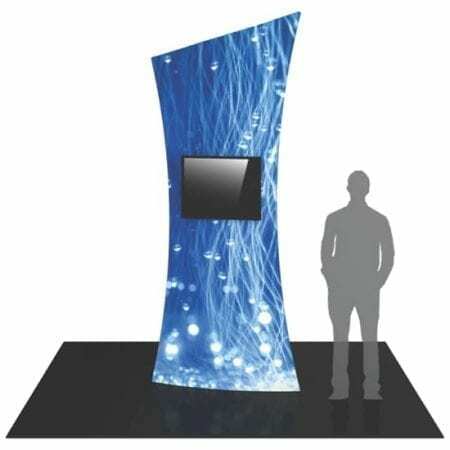 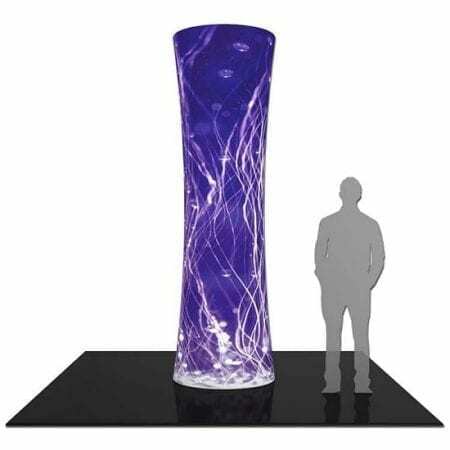 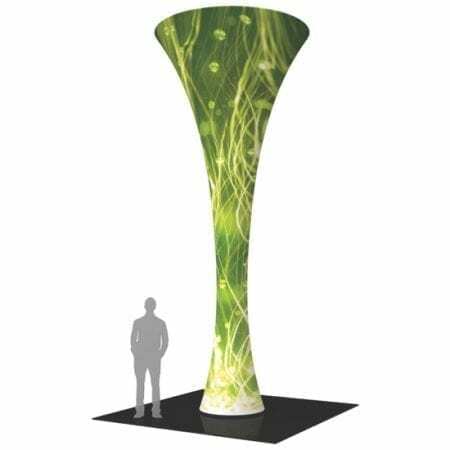 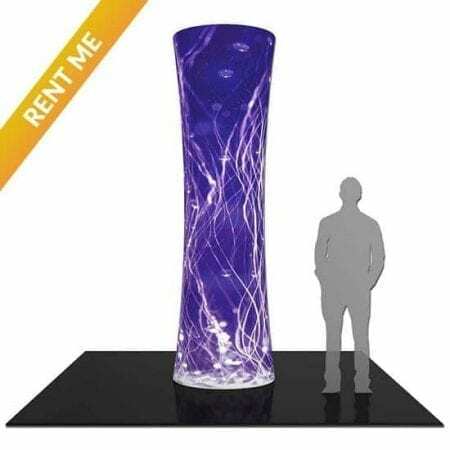 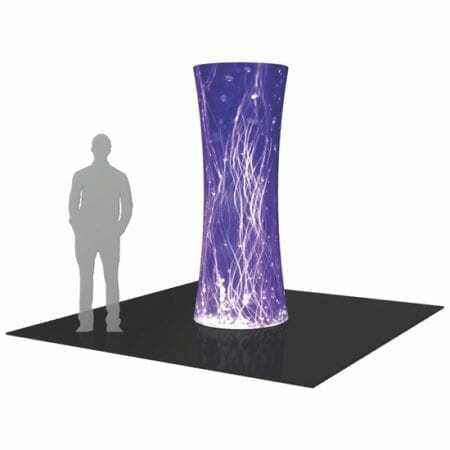 These tall Tower Displays with 3D Shapes can be branded on a large scale with stunning, vibrant graphics visible from all angles with small footprint. 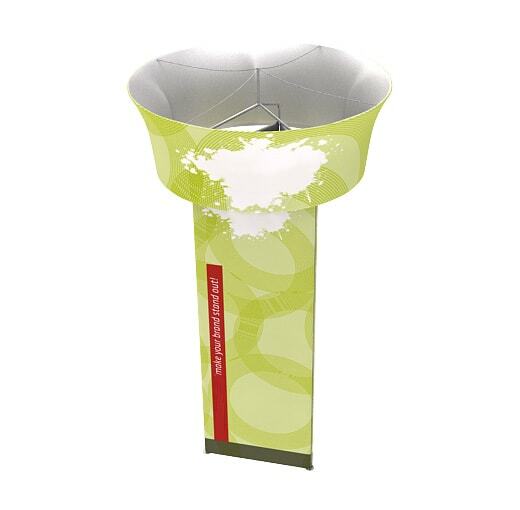 An excellent way to communicate your message in lobbies, showrooms, retail stores, shopping malls, airports, trade shows. 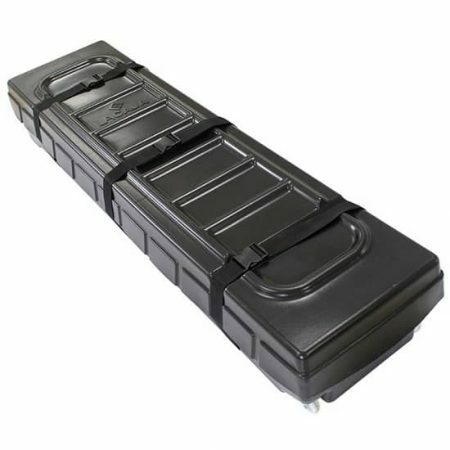 Ship compact with included wheeled cases. 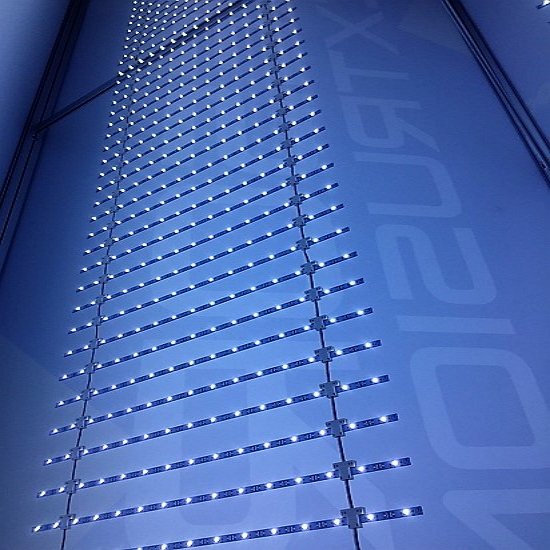 Optional internal LED lighting (not included). 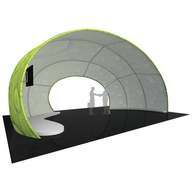 See our custom tension fabric shapes and sizes. 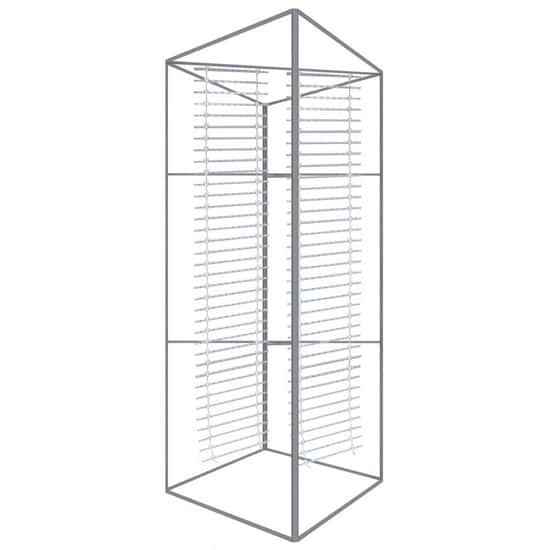 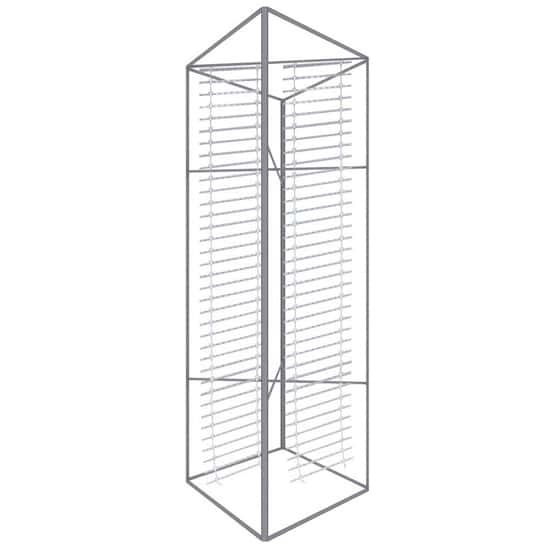 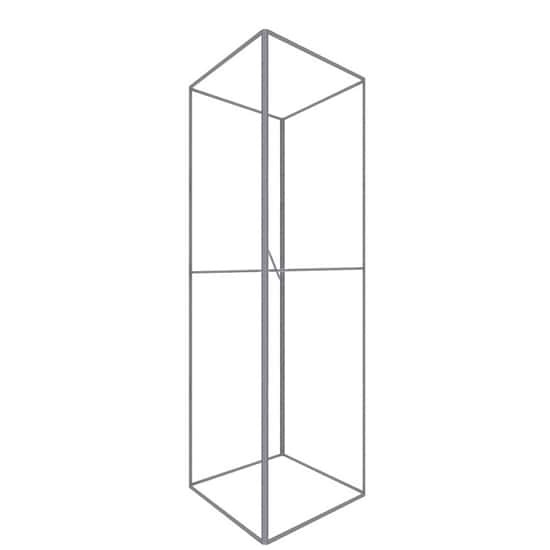 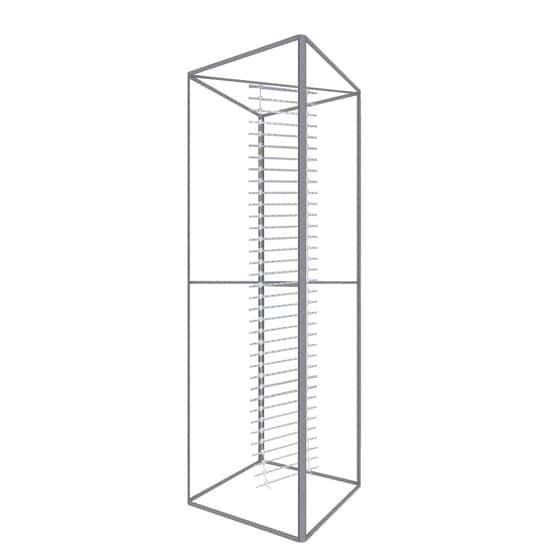 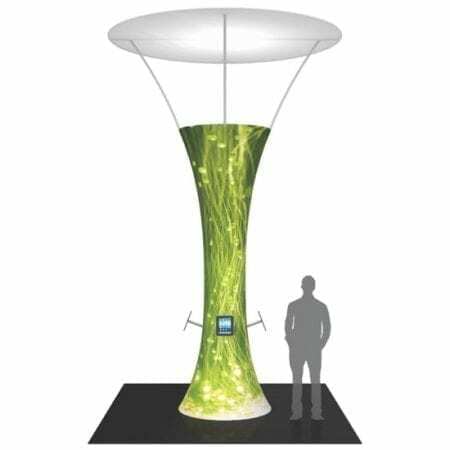 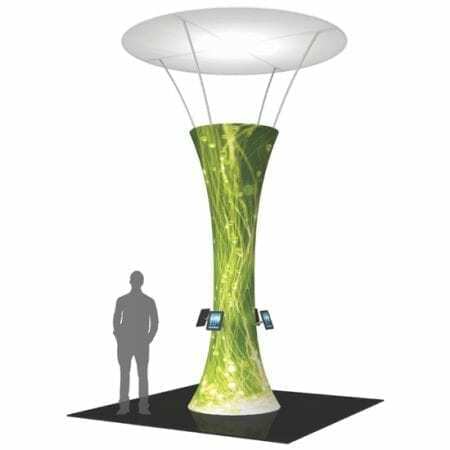 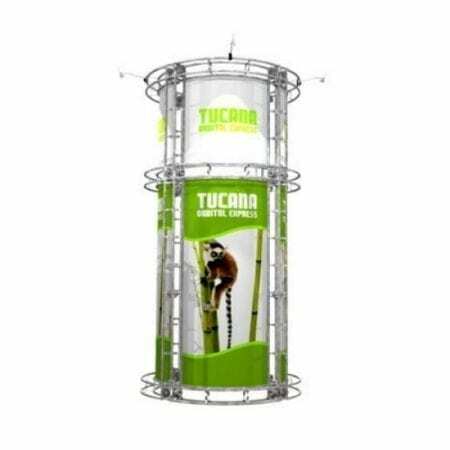 Square and Round Display Towers: available in 12′, 10′ and 8′, combines the latest developments in fabric printed technology with a sturdy, lightweight aluminum tube frame. 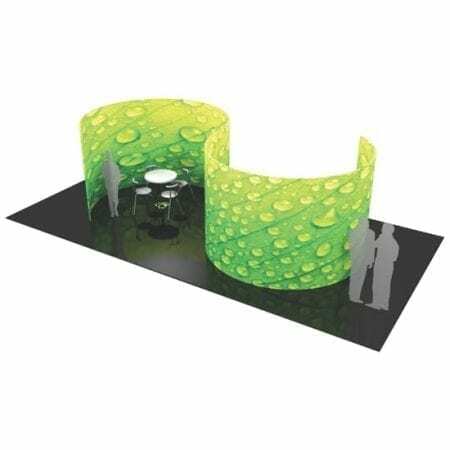 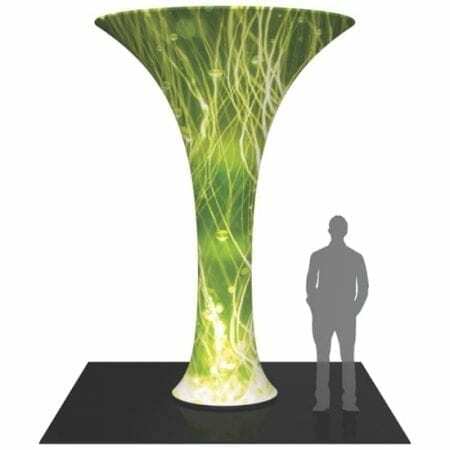 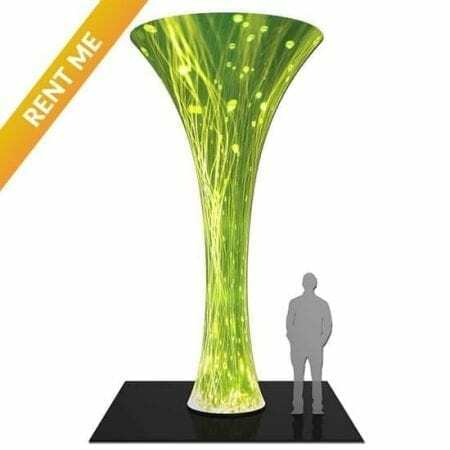 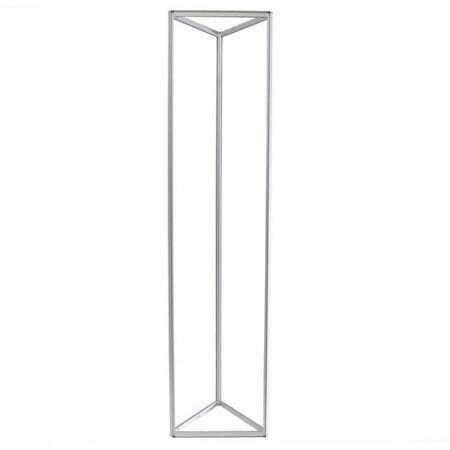 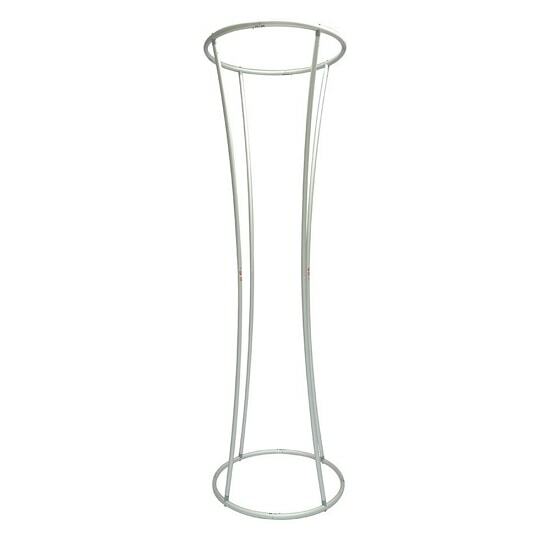 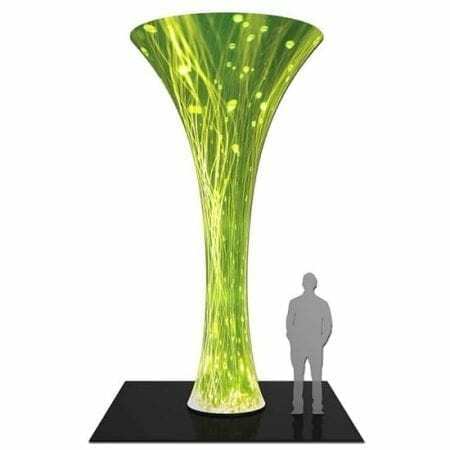 Funnel Display Towers in 20′, 16′ and 12′ High, features 3.5′ diameter, heavy duty, wooden base and silver powder coated truss interior. 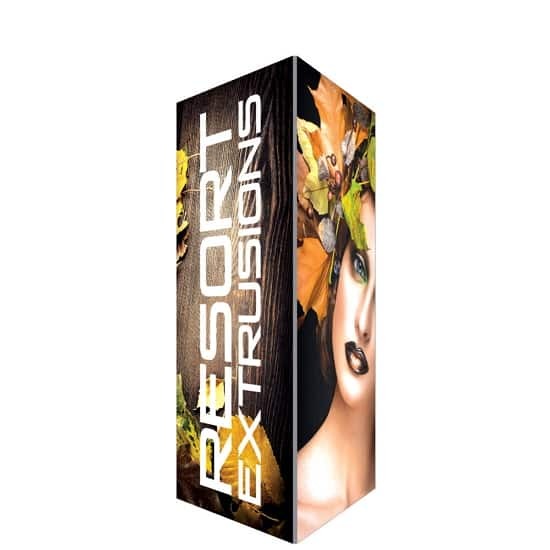 Tension fabric graphic features a top zipper and a silicone edge at the bottom for easy assembly. 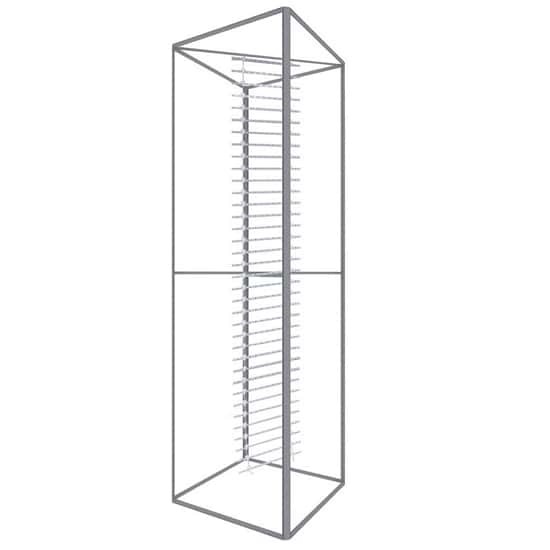 New 16′ iPad Funnel and 10′ TV Shield Towers with mount (TV/iPads not included). 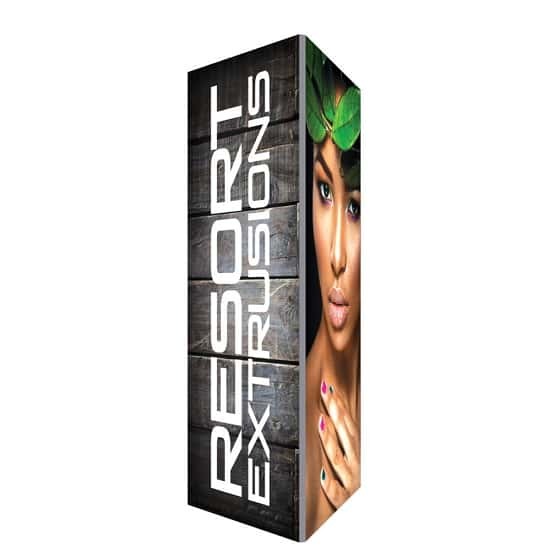 Our Rotating Overhead Tower Display combines the eye-catching height and shape of a custom-printed hanging sign with three-dimensional appeal. 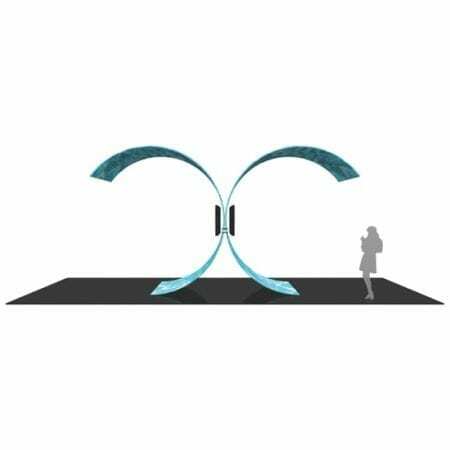 The most unique aspect is the overhead sign sits atop the tower so, NO RIGGING REQUIRED, and the overhead sign rotates on a built-in motor! 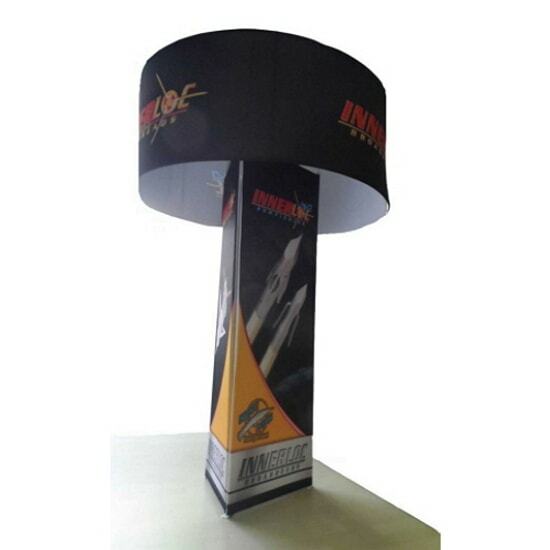 High quality dye sublimation. 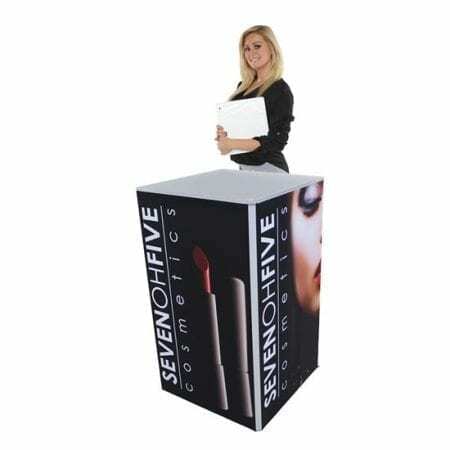 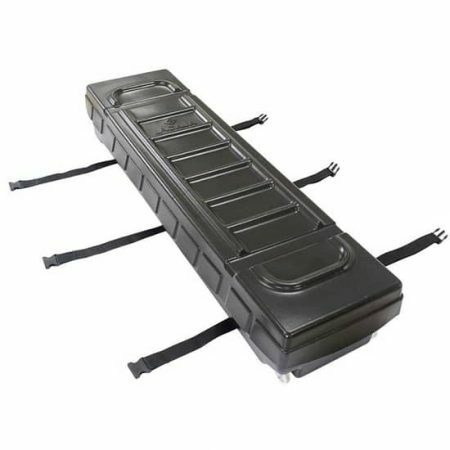 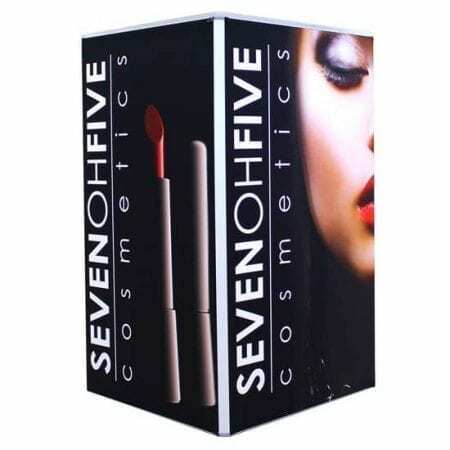 Lightweight aluminum frame & included carrying bags make it easily portable from show to show. 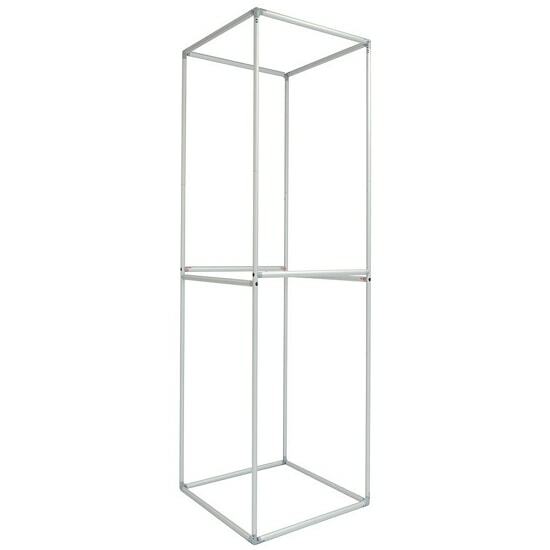 INDUSTRIAL LOOK! Both the Tucana Truss Round Tower and Neptune Truss Square Tower are an ideal solution for a modern and eye catching display that looks custom made for a fraction of the cost. 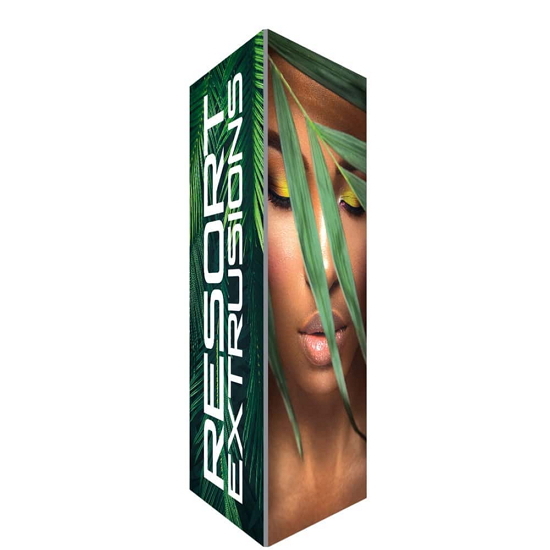 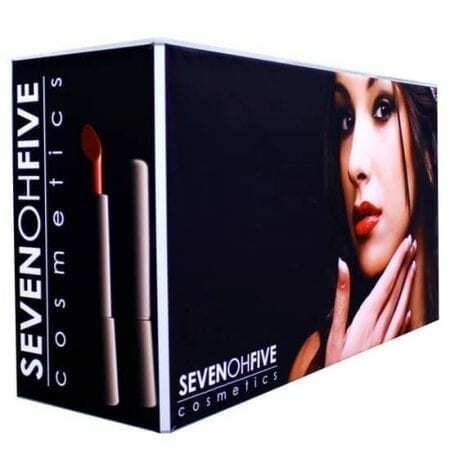 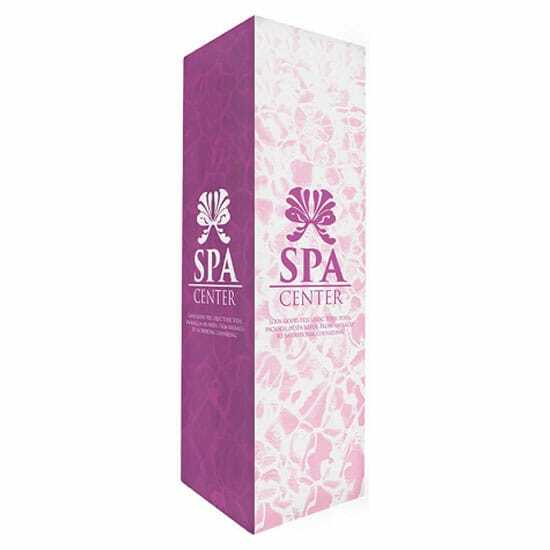 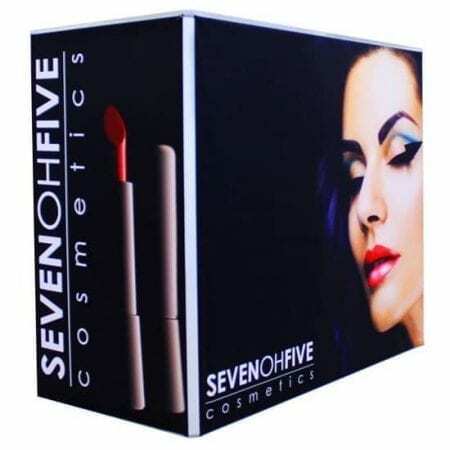 Display your brand in a stylish and sophisticated way with clean design and high-quality graphics. 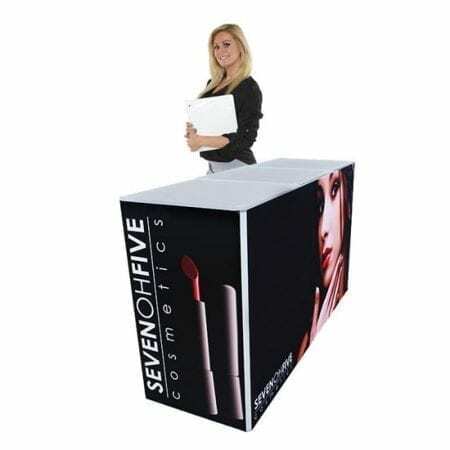 11′ high both structures stand above the rest and provides true 360° display. 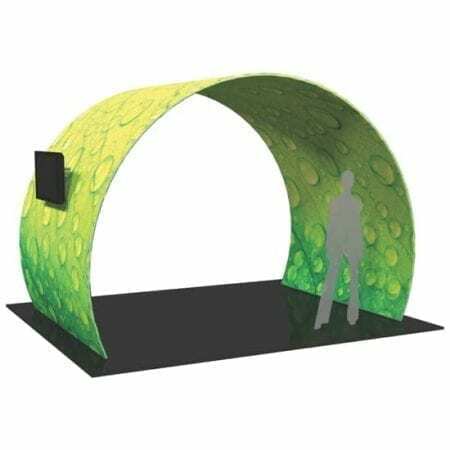 Both are easy to assemble thanks to the innovative truss design. 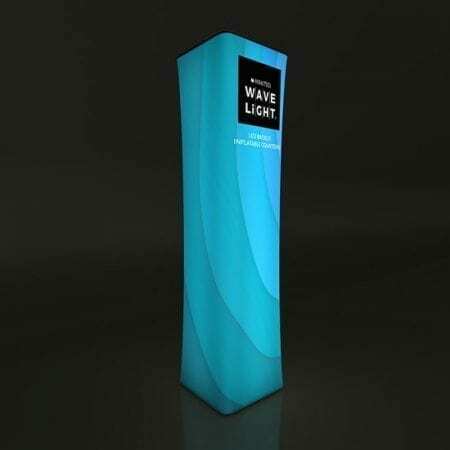 The Ultimate Portable LED Tower displays! 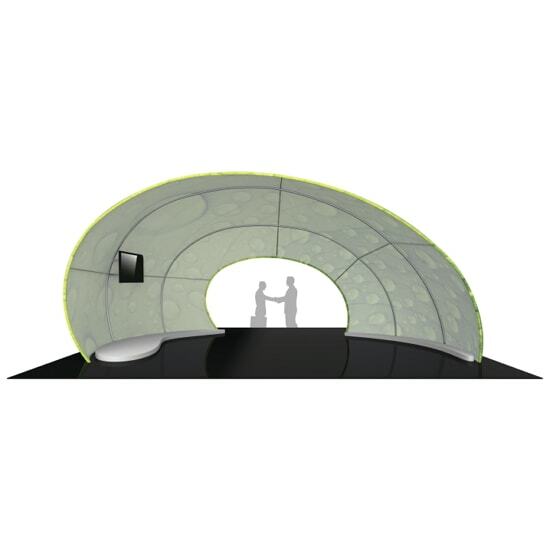 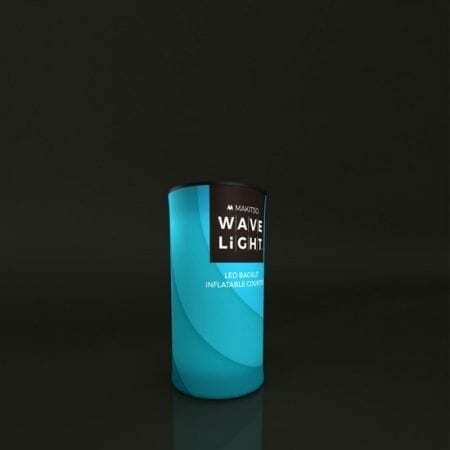 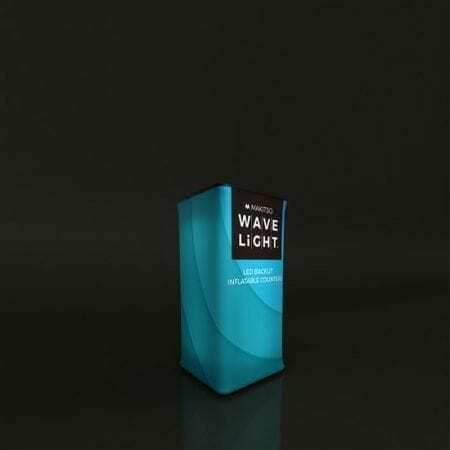 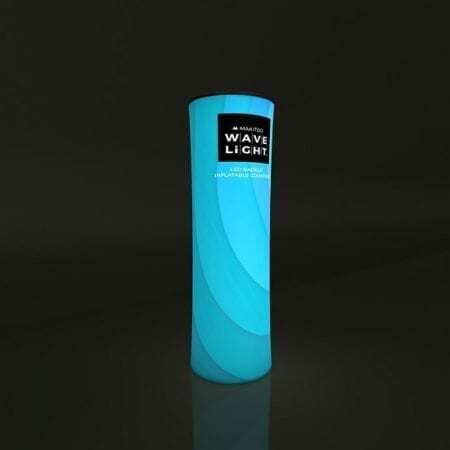 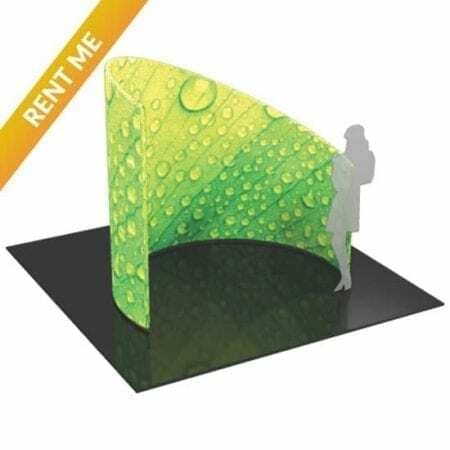 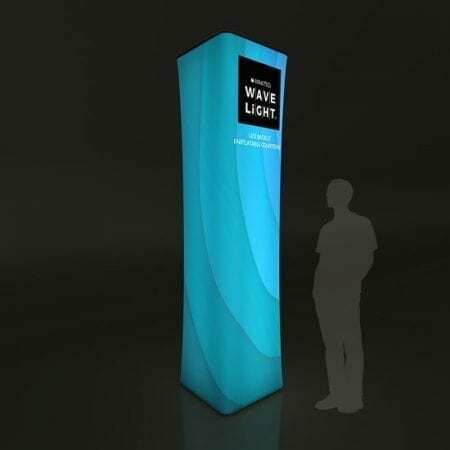 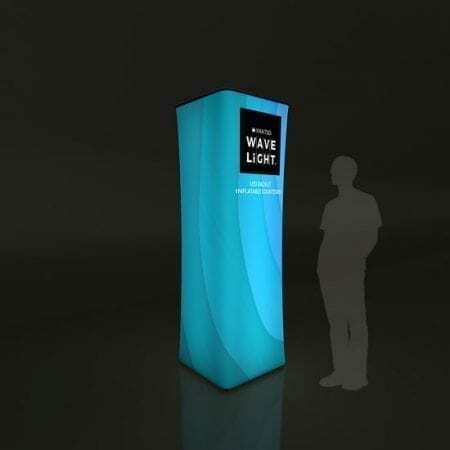 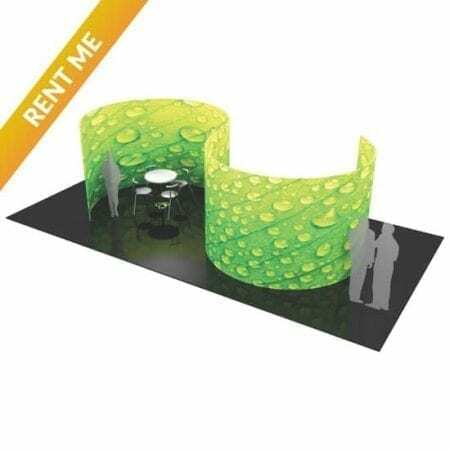 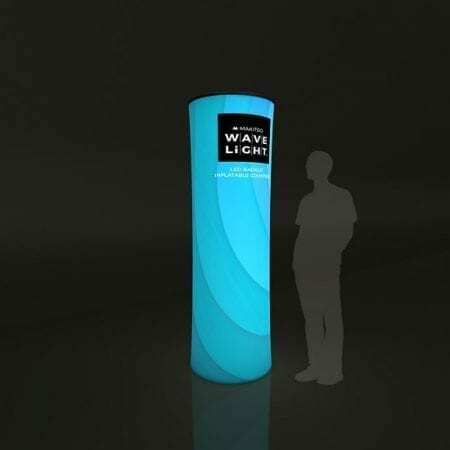 These Square and Round Lightweight Backlit Towers inflate in less than 15 seconds and provide you with a 360-degree branding experience in 3 impressive heights of 59″, 7.5 ft and 10.5 ft.
Design a unique aesthetic for any trade show booth or interior space with tension fabric structures to achieve a truly customized look for your next conference or trade show. 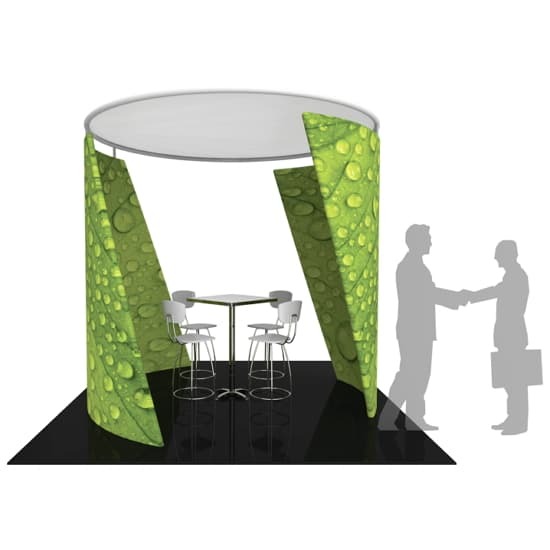 Create an ergonomically designed, semi-private meeting area in any trade show exhibit, special event, or interior environment! 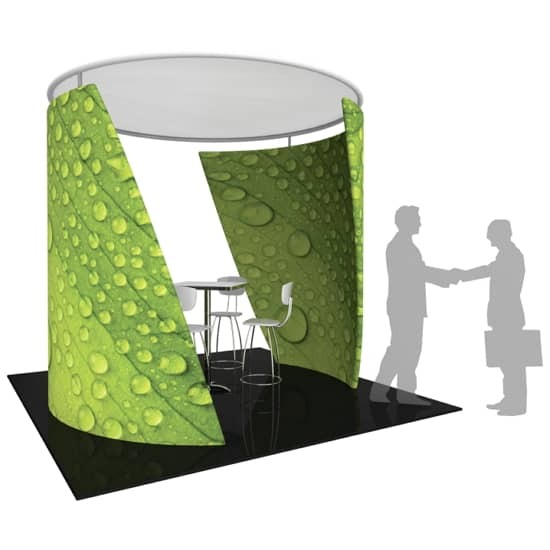 Tension Fabric Conference Walls are lightweight, stylish solutions to your meeting space needs. 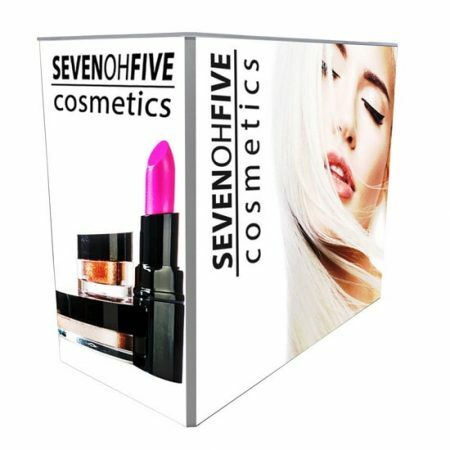 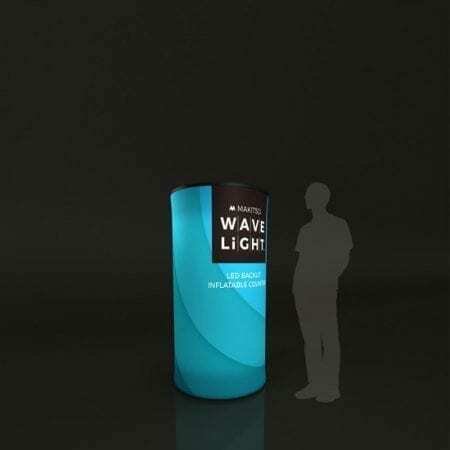 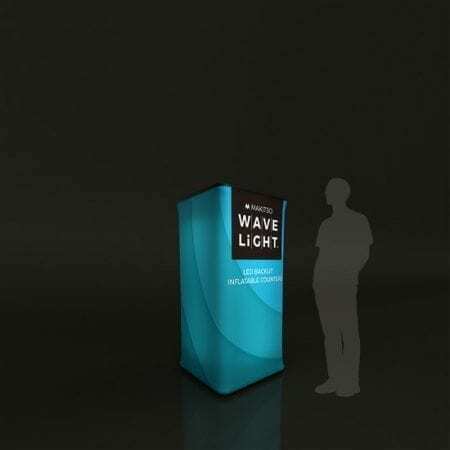 Our Portable Displays To Go Collection is designed around an affordable, fast and easy shopping experience. 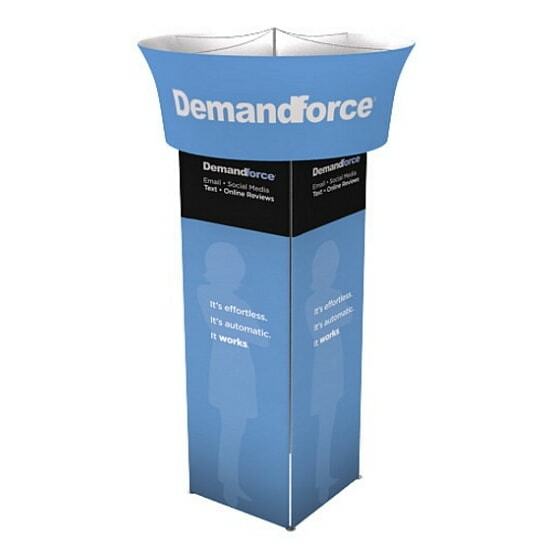 The Trade Show Towers To Go shown below features several Standard Tower displays available with quick turnaround from California or Pennsylvania facilities.